From Alessandro Mauceri and Il Grappolo Divino (Frascati) I acquired two bottles of wine from Villa Bucci, a red and a white one. Villa Bucci is located in Montecarotto (Pongelli), in the Le Marche region. The wines from this region are little known by the mainstream but definitely worth to be explored further. Villa Bucci is a jewel of a winery from the Le Marche region. I was so happy with this discovery. 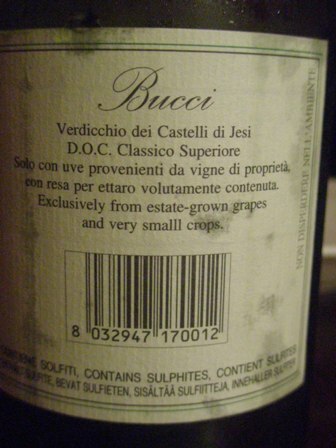 Their Verdicchio wines are all made from their own grapes, grown on 21 ha at Castelli di Jesi. Italy is maybe the place with the highest number of native vine varieties. Verdicchio, mainly grown in Le Marche, is one of them. 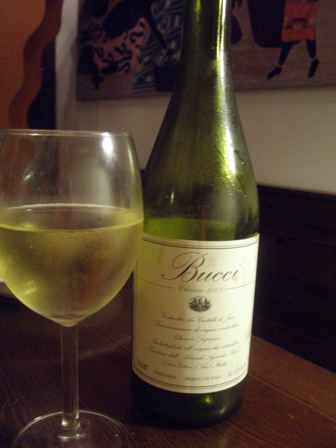 High in acidity, the grape makes excellent white wines, fruity and nutty (almonds) with a capacity for aging gracefully. My bottle from 2008 had no time for that. 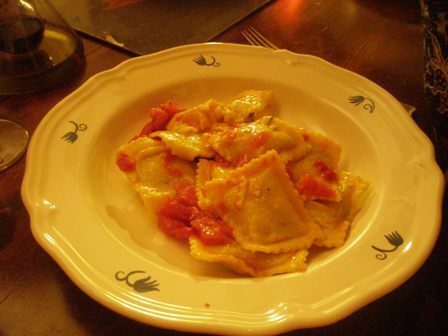 We consumed it on a beautiful summers night with a delicious pasta. It is a young but elegant wine, with a golden greenish colour, fruity and fresh with a light almond aroma. Thanks Alessandro for this selection. 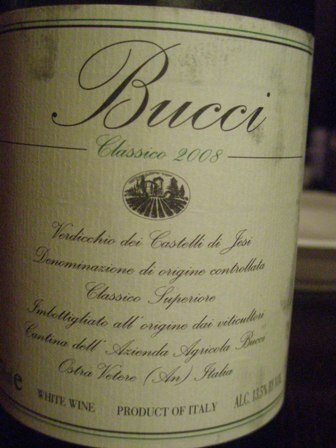 I highly recommend to everyone to try the wines from Villa Bucci in particular and Le Marche in general. Great learning. It is wonderful to be again in the town which was my home for three years (1988-90). Rome is just stunning, a wonderful city. In 1990 I witnessed here the soccer world cup. Ten years later I was invited as visiting professor by the Food and Agriculture Organization to conduct a study on property rights in Asia. 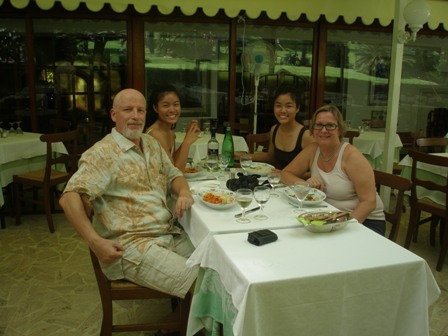 In 2010 I am back because my children thought that the celebration of my 20th wedding anniversary deserves a special treat. Everywhere I go, I am also somehow confronted with my past. As all old man, I am reminiscing. 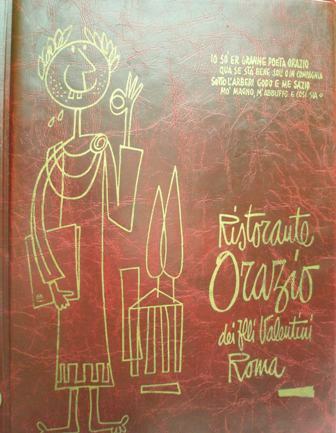 One special place is the restaurant ‘Orazio di Caracalla’. It was here were we had – after the ceremony at the “Campidoglio” (capital hill) – our wedding lunch. 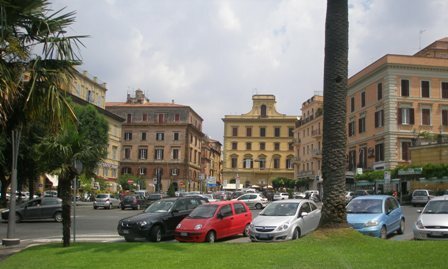 The restaurant is located right at the end of the Terme di Caracalla on the way to Porta Latina. 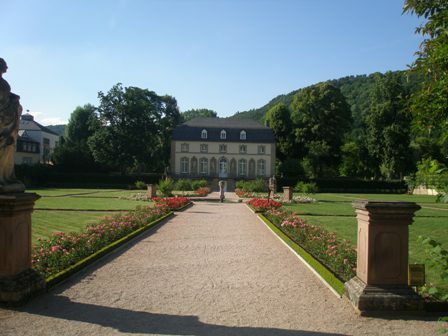 It has a splendid garden and a big car park with old trees. We casually strolled in after visiting the Colosseum on a beautiful summers day with blue sky and temperatures around the mid thirties. As with many good restaurants in Rome, little changes over the years. Interesting I also find that the waiters seem to be part of the place. So it is at Orazio. They are observant and discreet, and very friendly. 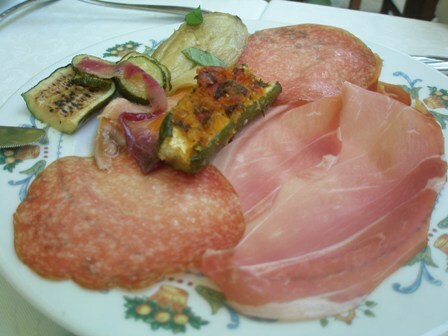 On hot days, plates of antipasti are always a welcome start of a meal. 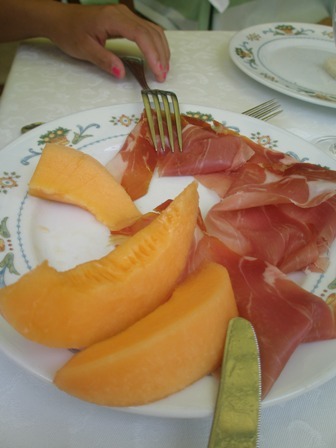 Both dishes (above and below), the mixed selection of starters and the melon with ham, were just delicious. 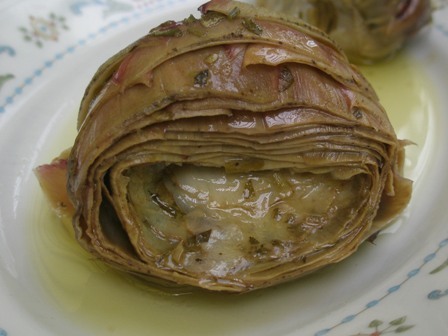 Although not in the “carcioffi” (artichoke) season, we could not resist ordering “Carcioffi alla Romana”. 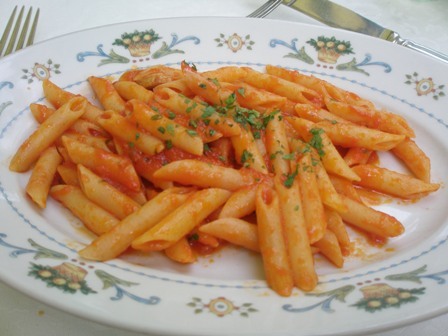 I had to go for “penne al arrabiata”, one of my favorite pasta dish. The local wine we selected was, of course, a Frascati. This blend of Malvasia and Trebbiano (sometimes other white varieties are added) is ideal accompaniment of Roman food on a hot summers day. 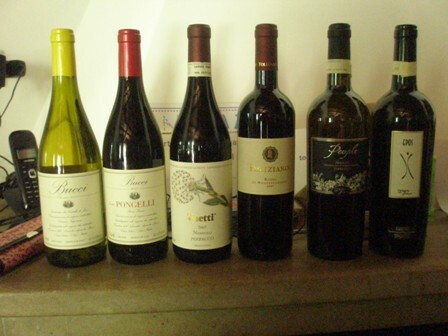 Casalgentile is a very well known producer of the Castelli Romani. 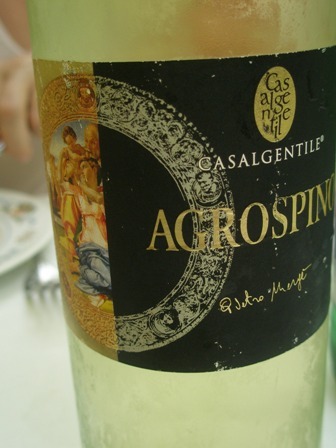 It’s ‘Agrospino Bianco’ blend has earned various awards. 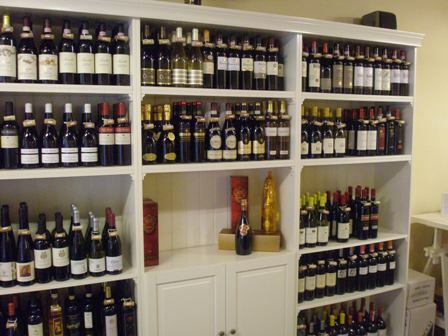 So have many of Pietro Mergé’s other wines. As the photo above shows, we had a great time. We visited Ariccia, one of the small towns in the Alban hills near Rome. Ariccia is a very picturesque place with great views of the coastal plains. We very much enjoyed strolling through its narrow roads and soaked in the atmosphere. 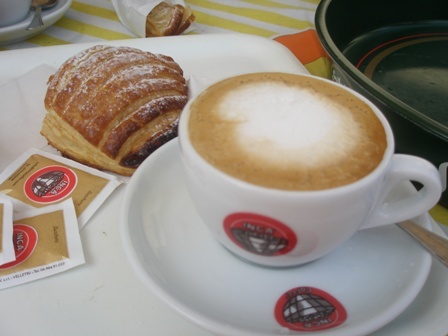 We also enjoyed a simple Italian breakfast with cappuccino and a cornetto. The owner of the cafe was very friendly. We felt like locals. 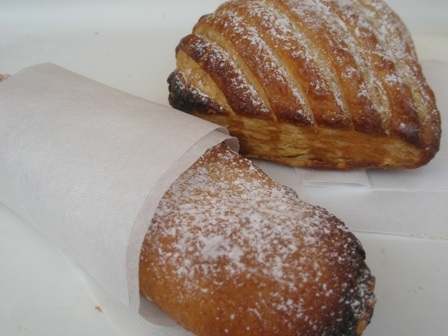 The two cornetti were most delicious. 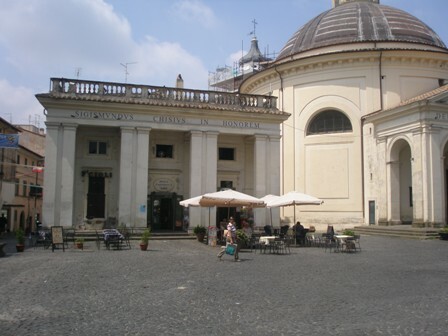 Trip adviser: if in Rome go and see Ariccia. It is hot in Europe. Since our arrival in Rome there was not a single day without sunshine and blue sky and temperatures between 32 and 38 Celsius. This makes you tired. Today I am even to tired to blog. But I enjoyed a bottle of ’2009 People Frascati Superiore’ from Poggio le Volpi, Frascati which we had bought last week from Alessandro Mauceri at his wine show: Il Grappolo Divino. Poggio le Volpi is run by the enologist Felice Mergè, third generation wine maker of the Mergè family with about 30 ha under vines. 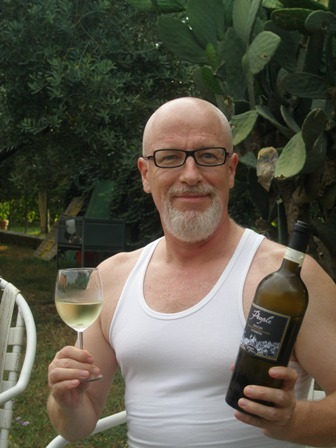 The ‘2009 People Frascati Superiore D.O.C.’ (13% alc.) is, as all wines from the Frascati region, a blend of 70% Malvasia bianca di Candia (late harvest), 20% Trebbiano 20% and 10% Sauvignon Blanc. It is a fruity wine with some lemon aromas, fresh and clean, just the right drink for a hot summers day (or any day, I guess). 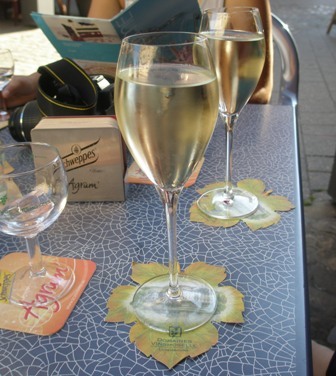 When in Rome, do as the Romans do: drink Frascati wines! While strolling through Frascati, the small town in Latio, central Italy, on the Alban Hills about 20 km southeast of Rome, we found the a “enoteca”, a wine shop in the historical center. Like a magnet it drew us in. Inside a friendly young man helped us with the wine selection. 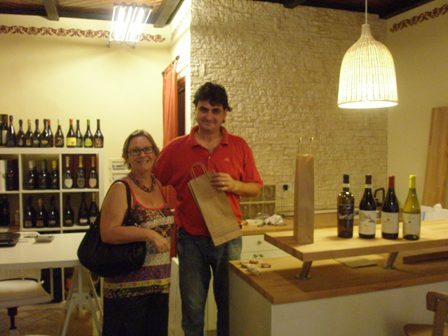 His name was Alessandro Mauceri and it turned out that this was the very first day of the opening of his shop, and we were his very first customers. How auspicious can it get? More on the wines in my next blog entry. Hurray, since today, folks, I am on holidays. 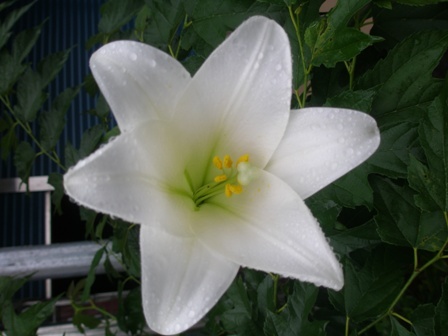 I do not know when I will write the next blog entry. I will be in Europe for a while, traveling to Germany, Italy and France. I will catch up with old friends, indulge in good food, fine wine and superb culture. 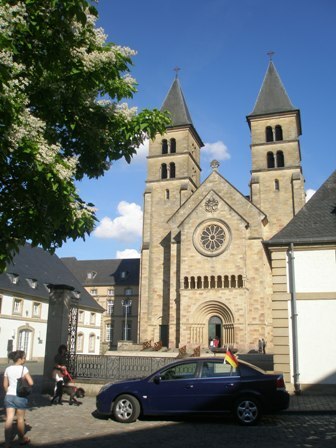 You are currently browsing the The Man from Mosel River blog archives for July, 2010.